EliteXC: Return of the King referenced EliteXC lightweight champion & native Hawaiian KJ Noons making his first and only title defense against UFC veteran Yves Edwards in the main event. Also in action, Nick Diaz, Murilo Rua, and Rafael Cavalcante. Jake Shields vs. Mike Pyle EliteXC: Renegade Sat, Nov 10, 2007 (14:47) Well-traveled grappling aces attack as Jake Shields enjoying an incredible eight fight win streak was looking to add to his EliteXC winning debut by taking on Mike “Quicksand” Pyle with his 13-4-1 pro record who was coming off back-to-back wins. Kyle Noke vs. Seth Kleinbeck EliteXC: Renegade Sat, Nov 10, 2007 (21:03) In his first pro bout outside of his native Australia, Kyle “KO” Noke with his 13-3-1 pro record had traveled halfway across the world to get into a cage fight against Seth “Mass Destruction” Kleinbeck, a 8-3 pro riding back-to-back TKO wins. 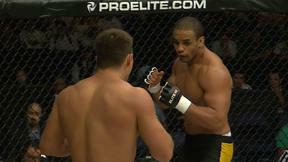 Antonio Silva vs. Jonathan Wiezorek EliteXC: Renegade Sat, Nov 10, 2007 (15:03) Antonio “Bigfoot” Silva delivered on his power-punching promise and scored a 1st round TKO in his EliteXC debut. Ready to go 2-0, Silva faced grappling specialist and UFC vet Jonathan “Lock and Load” Wiezorek with his 11-2 record with all wins by finish. 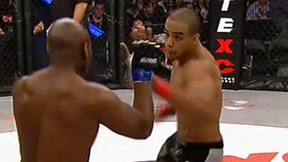 Robbie Lawler vs Murilo Rua EliteXC: Uprising Sat, Sep 15, 2007 (27:54) Title unification! 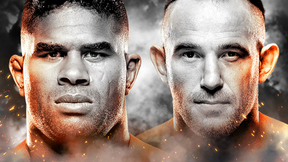 The Icon Sport middleweight champ “Ruthless” Robbie Lawler, who was riding 3 spectacular KO wins in a row, readied for a gilded rumble with EliteXC’s middleweight champion Murilo “Ninja” Rua, who was also on a 3 fight win/finish streak. Nick Diaz vs. Mike Aina EliteXC: Uprising Sat, Sep 15, 2007 (30:14) Boxing brawler & BJJ blackbelt Nick Diaz was riding a four fight unbeaten streak including two wins in the UFC and, arguably, his biggest performance yet in PRIDE as took to the cage against the heavy-handed Hawaiian hometown hero Mike “Iron” Aina. Gina Carano vs. Tonya Evinger EliteXC: Uprising Sat, Sep 15, 2007 (13:36) Already becoming the face of women’s MMA, former Muay Thai kickboxer Gina Carano would put her striking and her undefeated record to the test in her second EliteXC bout against the 4-2 pro will all wins by finish Tonya “Triple Threat” Evinger. 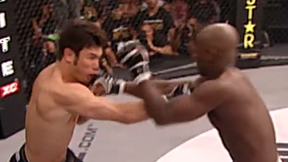 EliteXC Heat Sat, Oct 4, 2008 (1:03:30) In the final show on CBS, EliteXC: Heat saw the promotion’s last event with action from Gina Carano, Roy Nelson vs. Andrei Arlovski, EliteXC welterweight champ Jake Shields faced Paul Daley, and Kimbo Slice’s unforgettable clash with Seth Petruzelli. 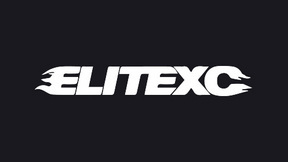 EliteXC Unfinished Business Sat, Jul 26, 2008 (1:22:20) Live on CBS from Stockton, California, EliteXC: Unfinished Business saw EliteXC’s middleweight champ Robbie Lawler and EliteXC’s welterweight champ Jake Shields put their titles on the line. Plus, Nick Diaz and Cris “Cyborg” Santos in action. EliteXC Uprising Sat, Sep 15, 2007 (2:06:38) EliteXC: Uprising held an exciting card with burgeoning superstars like Nick Diaz and Gina Carano, and headlined by a belt unification battle between EliteXC middleweight champ Murilo “Ninja” Rua and ICON Sport middleweight champ “Ruthless” Robbie Lawler.